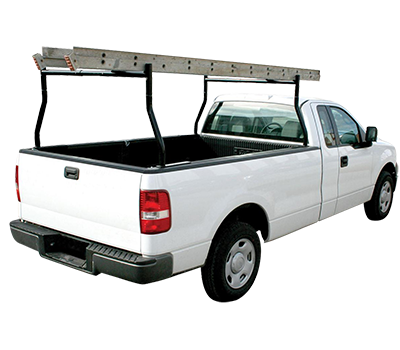 LOADSRITE Ladder Racks from Adrian Steel easily raise and lower to eliminate the need to climb, stretch or reach for your ladder on top or your van. 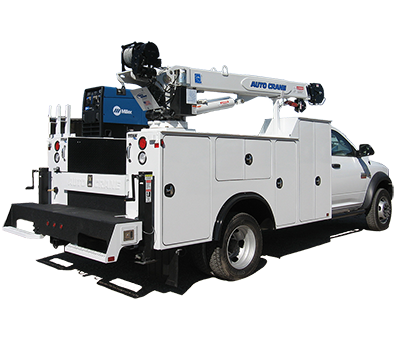 The unique design of the LOADSRITE presents the ladder in a diagonal position bringing it to a comfortable working height in the right way. 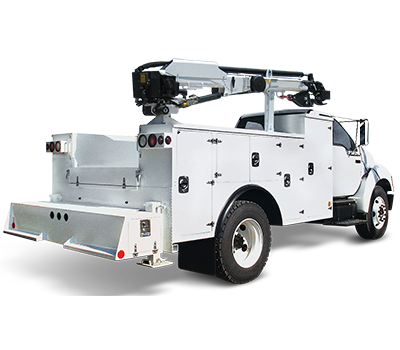 LOADSRITE, the right way to load and unload ladders. 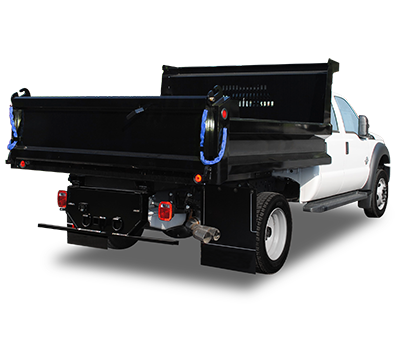 The LR6400-WSF is a combo unit with one drop down unit on the street-side and one Grip-Lock unit on the curbside. 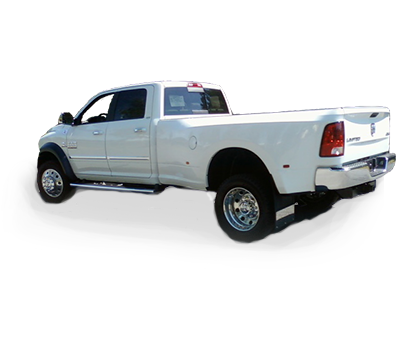 •Aluminum bed frame, cast aluminum grab handle, stainless steel latch and all stainless steel fasteners. 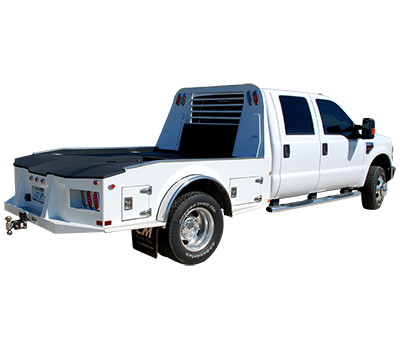 •Allows side and rear door access while in the up or down position. •Ladders can be padlocked for security. •Hydraulic speed damper gently lowers ladder bed. 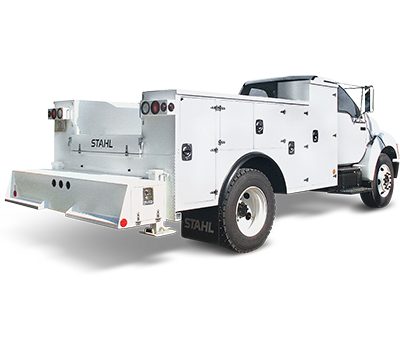 •Steel-Cote diamond hard powder coat finish. •Easy operation from the side of the vehicle. •There are no straps to deal with, clamping of the ladder is automatic. 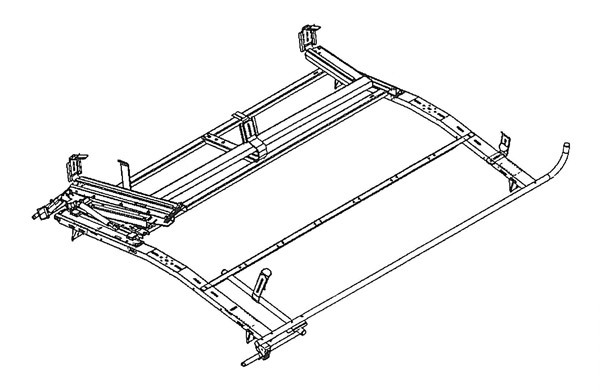 •Rear bed lowers to present the ladder at a convenient position. 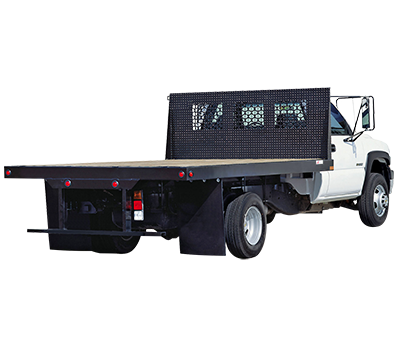 *LoadsRite ladder racks are not compatible with Express Access or Savana Pro vans.